As the group continues its aggressive expansion across Asia and the wider world, Breaking Travel News here sits down with ONYX Hospitality chief executive Peter Henley to see just what it is that separates the group’s brands from their competitors. Breaking Travel News: Can you just bring us up to date with the latest headlines from ONYX Hospitality Group as we move into the second quarter of 2013? Peter Henley: Thailand based hotel management company, ONYX Hospitality Group, is going from strength-to-strength with a number of exciting recent and ongoing developments across its brand portfolio, including global growth across India, Sri Lanka and the Middle East. ONYX currently operates 34 properties with an inventory of more than 5,000 rooms, across four brands. In 2010, ONYX set a goal to become one of Asia’s leading hospitality providers by 2018 with a portfolio of 51 operating properties. By the end of 2013 we will have 38 operational properties with an additional 11 contracts signed for the future, ensuring the target set in 2010 should be surpassed well ahead of schedule. In 2013, we are set to launch the first two OZO properties in Hong Kong and Colombo as well as Amari’s first property in India, Amari Ludhiana. Serviced apartments brand Shama will also add a Hangzhou property to its ever increasing portfolio. BTN: What markets are you focusing on currently and in the future? 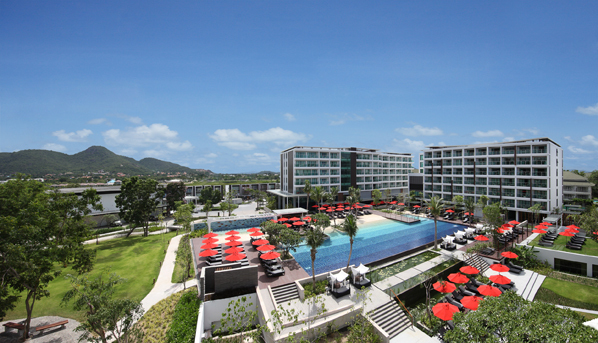 PH: Thailand remains an important market for us, and last year saw two new openings, Amari Hua Hin in August and Oriental Residence Bangkok in January. Focus on Thailand will remain in the future but we are excited to be expanding into other markets. Earlier this year Amari Doha launched in Qatar, becoming our first Middle Eastern property, and later in 2013 we take our first steps in India with the opening of Amari Ludhiana. Even though the Amari brand is now expanding beyond our native Thailand, we recognise the importance of remembering our roots. We have always believed that Asian hospitality is an attractive asset to both guests and developers. For example, through our international expansion, for example at Amari Doha, we share elements of Asia with our guests through food and beverage, our signature Breeze Spa and interior design, while also striving to connect visitors to the culture of the destination of Doha. BTN: Could you give our readers an overview of ONYX’s brands and specific developments? PH: There are four brands under the ONYX corporate umbrella. Amari remains the centrepiece of the ONYX portfolio and is an established hotel brand in Thailand with 13 hotels across the country. In 2009 we revitalised the Amari brand and introduced a new look and feel, the result of market research into guest needs and expectations. The development of the Amari brand is central to ONYX’s expansion, as discussed, in 2012 we opened Amari Hua Hin in Thailand and this year we welcomed Amari Doha in Qatar to the Amari family. Late 2013 will see another first for the brand, as the first Amari property in India is formally introduced with Amari Ludhiana, following a soft opening period. As well as the new openings, the brand will also be making enhancements to its existing property portfolio. OZO, an additional brand under the ONYX umbrella, seeks to revitalise smart travel through focussing on a great sleep experience. The brand was born after we identified a gap in the market for a hotel brand offering a fresh take on select services for both business and leisure travellers, with a core focus on the haven of peace within the guestroom, embodied in the OZO promise – “SLEEP. DREAM”. The first OZO property will launch this year, with OZO Wesley Hong Kong, and this is an exciting development for us. This will be followed by the opening of OZO Colombo in Sri Lanka in mid 2013. The brand is also set to open its first resort property, OZO Chaweng Samui, on the Thai island of Koh Samui in 2014. Shama has secured a management contract for a new development in China in the city of Hangzhou. Shama HEDA Hangzhou is scheduled to open late 2013 in the capital and largest city of Zhejiang Province in Eastern China. This latest development for Shama will strengthen the brand’s positioning as a market leader of luxurious serviced apartments in Greater China whilst also propelling growth in the Asia region. 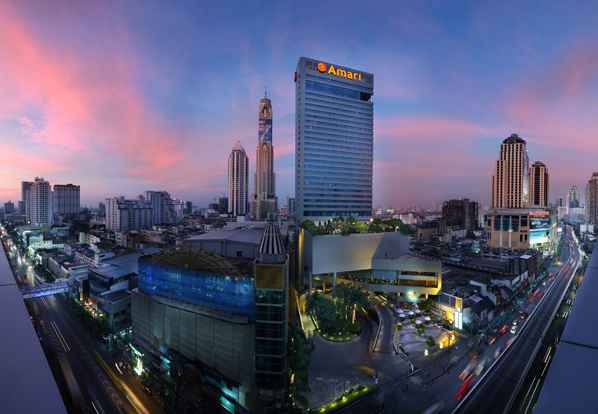 On January 23rd 2012 we opened the doors to our first luxury venture, Oriental Residence Bangkok. Set in an iconic 32 storey building, the property boasts a celebrated location to complement its stylish and elegant accommodation, facilities and dining options. The mixed use development also houses privately owned condominiums. Within six months of its soft opening date, the property was ranked number one in Bangkok on TripAdvisor out of over 700 hotels. Our wide-ranging portfolio is paying off, as we are able to define each brand’s signature offerings to give our customer exactly what they need, for example Amari has more facilities and offers large meeting spaces for corporate business whereas the OZO brand attracts guests who want to explore the area but won’t need to use the hotel facilities. BTN: Can you give us some details on what is next for ONYX? PH: As mentioned earlier, by the end of 2013 the Group will have 38 operational properties with an additional 11 contracts signed for the future. Outside of Thailand, more expansion into other markets is also in the planning stages for all brands as we continue our development. The next 12 months will see big steps being taken in our strategic vision to become one of Asia’s leading providers of hospitality by 2018. Key developments in the near future include the introduction of the Amari brand into the Indian market with Amari Ludhiana in 2013, and the first operational properties under the OZO brand launching this year.